Supergirl is the fictional superheroine who is also the biological cousin of DC Comics iconic hero, Superman. The television series, Supergirl, first aired in October 2015 and follows the story of Kara Zor-El, a.k.a Supergirl, who is sent to Earth by her parents from her home planet, Krypton, with the task of protecting her infant cousin, Superman. 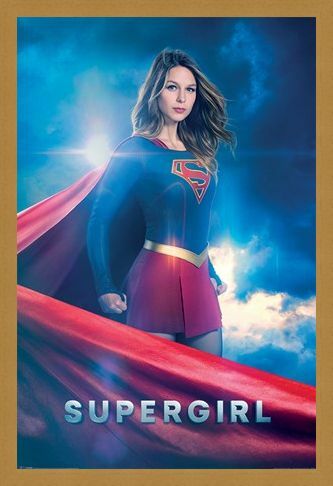 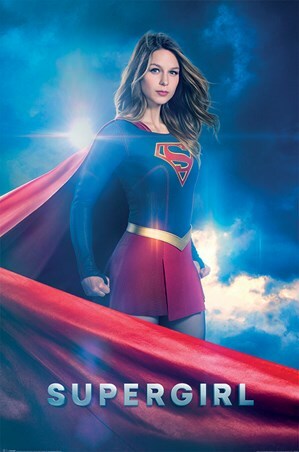 Played by actress, Melissa Benoist, this poster shows the heroine in her blue, gold and red outfit with her cape swirling dramatically across a darkened, cloudy sky. Add a little girl power to your own home and show your appreciation for the series with this 'super' poster! High quality, framed Kara Zor-El, Supergirl poster with a bespoke frame by our custom framing service.